Holy Family Memorial welcomes psychiatric nurse practitioner Brenda Stallbaum, APNP. She is a board-certified psychiatric mental health nurse practitioner with over 30 years of behavioral health experience. As a nurse practitioner, Stallbaum can assess, diagnose, treat and prescribe medications to adults with mental health disorders. 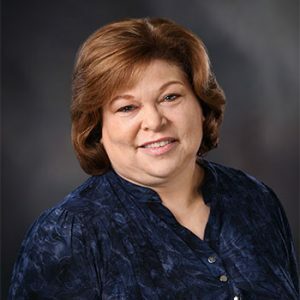 Stallbaum received her nursing degree from the University of Evansville and completed her master of science in adult psychiatric and mental health nursing from Indiana University in Indianapolis, Indiana. Her special interests include mood disorders, psychotic disorders, and helping family members of patients with a mental health condition. In her free time, Stallbaum enjoys playing the piano for her church and spending time with silver labrador retriever, Dolly. Learn more about Brenda Stallbaum at hfmhealth.org/Brenda-Stallbaum or call HFM Behavioral Health at (920) 320-8600 for an appointment. ← Holy Family Memorial to hold flag raising ceremony in honor of National Donate Life Month.